On behalf of all the Organizing Team, let me welcome you to the 8th IFIP WG 8.1 working conference on the Practice of Enterprise Modelling, following a sucesful trend (PoEM 2014 in Manchester, PoEM 2013 in Riga, PoEM 2012 in Rostock). PoEM aims at improving the understanding of the practice of Enterprise Modelling (EM) by offering a forum for sharing experiences and knowledge between the academic community and practitioners from industry and the public sector. PoEM traditionally addresses topics such as EM and information system development, enterprise architecture, business and IT alignment, EM and business process improvement, Enterprise modelling tools and frameworks, quality issues in EM, change management and organizational transformation underpinned by information technology approaches.The papers accepted for PoEM 2015 will be published in the Springer LNBIP series. Welcome to Valencia, welcome to PoEM. We are working hard to offer you a high-quality technical programme with interesting presentations and keynote speeches. This year’s novelty is the inclusion of a workshops day. We hope you will enjoy both the conference and Valencia, a lovely city offering a great choice of cultural and leisure activities. We are happy to announce that the proceedings of PoEM 2015 are now available. The access link is SpringerLink to proceedings. PoEM committee has extended the deadline for submitting papers. Please note that these should be submitted by the 12th of September. 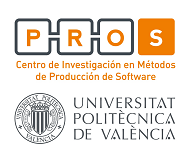 We encourage you to participate and enjoy an engaging conference in Valencia. 8th IFIP WG 8.1 working conference on the Practice of Enterprise Modelling.